I find it interesting how similar and dissimilar the Microsoft and Cisco keynotes were at Enterprise Connect 2016. The two tech giants have overlapping messages and visions with entirely different approaches; visions and objectives. Both spokesmen are pros and they each delivered a very complex set of messages in a ridiculously short time-frame. Take a minute to think the task: (1) Align the audience for a journey or theme, (2) demonstrate momentum and (3) include a few relevant demos – all within 30 minutes. It’s a bit rushed – that’s why both companies do much longer keynotes at their own events. These EC keynotes are not just a a matter of condensing but dropping entire (and critical) components to their stories. 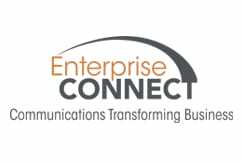 [Download the free TalkingPointz 2Pager on Enterprise Connect 2016. The audience has a wide range of product and industry knowledge. The first challenge for the speaker is to level-set them and prepare the group for a their upcoming journey. Rowan went for “magical moments” and used what he claims is the human response to weightlessness. Unfortunately few audience members have experienced weightlessness, but the concept of magic works. Rowan explained that the inhibitor to magic is complexity – especially with regards to enterprise communications. Complexity though makes a lot of sense as the common enemy. Both companies (and the industry in general) made UC way too complex, and both companies (as well as most of the industry) now promise a simpler experience via cloud delivery. Unfortunately, neither company is fully there yet – they both rely on a hybrid approach to fill functional gaps while they build their new cloud offers. Only US organizations with simple requirements can be served with either of their current cloud offers. Both companies cited significant progress on global expansion. The key difference is Microsoft is heading down the path of direct services. This is a long and arduous process. However, it will offer their customers a single vendor path for cloud services – ironically something Microsoft has been faulted on for some time. Cisco is a bit behind Microsoft on global expansion, but will likely overtake them soon as its path to market leverages existing regional bandwidth partners thus eliminating the regulatory burden that Microsoft has undertaken. Cisco should be able to expand global offers much faster than Microsoft. This is one of the significant differences: Microsoft is building out a direct model, and Cisco is building out a “Cisco hosted, partner delivered” model. There are significant advantages to both, and this will become one of the key topics in Cisco v. Microsoft debates. Channel partners prefer Cisco’s model, but the jury is out on what enterprise customers think. Certainly enterprises have historically preferred indirect channels, but direct models appear to work nicely for cloud providers. Spark is commercially available thru Cisco Partners. This is hosted by Cisco, but sold through partners. In addition to Messaging and Meeting services, Calling services can be accomplished via cloud or hybrid (CUCM/HCS)- involving partner provided PSTN services. Cisco mostly announced the availability of previously announced services. Microsoft’s announcements have various target dates for later this year. That has nothing to do with who’s moving faster as both make announcements throughout the year. However, Microsoft is generally shy about sharing road map details. Cisco has been consistently announcing what to expect and then delivers on it. That second part is important. Two of Microsoft’s announcements from last year’s keynote have not come to market. The companies are both describing many of the same things, but these solutions are actually very different. Microsoft is working to better address and simplify today’s solutions and workflows. Cisco is attempting to redefine the solution and how work should flow. Specifically, Microsoft’s approach leverages Office, Outlook/Exchange, and Active Directory. Cisco’ is leveraging secure Workstream Messaging with rich video and integration capabilities. The difference was best illustrated in how each keynote demonstrated the start of a video conference from a public meeting space. In Microsoft’s case the key interface remains a Windows computer set up in a kiosk mode. This can be accomplished with yesterday’s LRS or tomorrow’s Surface Hub or any of the newly announced Project Rigel solutions announced in the keynote and expected soon. This interface provides what Zig refers to as a “start button” because it simplifies/hides lots of the complexity. If you don’t think it’s hiding complexity, it has done its job. We all know and appreciate click-to-join, but that is much harder on a public resource. This room’s touch-enabled kiosk that has to be simultaneously secure from unauthorized uses, and accessible for easy use. To show the meeting calendar it has to be securely connected to Exchange. Since Skype4B meetings can contain shared (sensitive) content the kiosk has to offer to save/share information and then totally erase it (from the public kiosk). The Surface Pro 4 computer is key to all of this as it combines Windows, a Skype4B kiosk client, a touch interface, and USB support for standard cameras and peripherals. This is all accomplished via the proprietary 40 pin connector on the SP4. Cisco accepts Exchange and Active Directory, but doesn’t tie the meeting experience so rigidly to specific resources. Cisco produces its own hardware so controls more of the solution. Cisco did not go with a center-of-room experience though commonly does so with its telepresence solutions. Instead, Spark leverages the smartphone client which automagically pairs with the room system via wireless proximity techniques. The meeting room actually detects who’s in the room and displays their avatar on the room system display. The meeting can be initiated from the user’s smartphone (but runs on the room system). Trollope stressed that this could be an ad-hoc meeting and even demonstrated how to move the in-process meeting to another room if necessary (this would be hard on Skype4B). Cisco v. Microsoft is fascinating. In one corner you have Microsoft – dominant in enterprise desktops, server operating systems, and applications and it is leveraging these components into a strong, integrated UC play. In the other corner Cisco has market leadership in IP Telephony (CUCM), Conferencing (WebEx), and enterprise video (Telepresence) with plans to combine them all into a next generation cloud service and platform play. While the demos and value props seem similar, the underlying solutions are about as different as they can be. For example, Trollope said something about the Spark phone using APIs instead of SIP. I’m not sure exactly what the implications and possibilities of this are yet, but it could be tremendous. It does feel that Spark is in-line with where the industry is headed, but I’ve been fooled before about how slowly this industry actually moves. Google was way ahead of Microsoft with web-based office productivity, but that hasn’t stopped Microsoft from assuming a leadership position in cloud-based office productivity with Office 365. It is actually the frick’n customers that slows progress. I regularly hear from customers that just don’t have a clue what collaboration can do for them, and many have yet to upgrade to UC 1.0. To this day almost every interaction I have with a contact center pisses me off – they can’t figure out IVRs, context, authentication, or virtual hold – yet mature solutions have existed for years. I still get out-of-office email responses not because the person is on vacation or unavailable, but because they are literally out of the office (as if that matters to me). I still find people that preface transferring a call with ‘I might lose you’ because the transfer button is some new fangled confusing piece of technology. And don’t get me started on audio conferences with emailed “shared” content. This MS/Cisco battle is a can’t-look-away drama, but like a magician’s redirection, magic is occurring elsewhere – like 8×8 experiencing rapid growth, international expansion, and expanding into both enterprise accounts and hosted contact centers. Or Vidyo with partnerships across at least six major UC vendors and winning over ATM and healthcare equipment makers. Or, NEC that has extended its video biometrics into its IP desktop phones. Or, perhaps The Big Zang Theory that enterprises will acquire components rather than single-vendor solution stacks. The list goes on. The giants are moving quickly, but so is the industry as a whole – and smaller companies tend to move faster (which is why Microsoft and Cisco keep buying them).